This beautiful two bedroom cottage in a tastefully furnished holiday home. It is clean and comfortable and offers a TV, DVD player, CD player, microwave, washing machine, fridge n freezer , private parking , secluded garden with barbeque, off street parking. Wellswood is a lovely area with several recommended restaurants - french, Italian, English, as well as a really nice pub and fab deli. Beauty rooms and travel agent on doorstep. 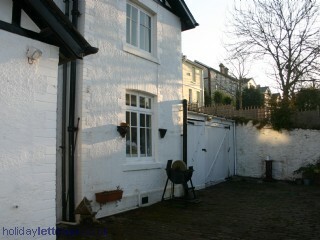 10 mins walk (1 min drive) to locals beach - 10 mins walk ( 1 min drive ) to harbour - google English Riviera for further details! This is a very cool area to be staying - the Mayfair of Torquay! English Riviera, beautiful beaches, lovely walks, gulf stream weather! Fantastic place for those with style in mind. Great restaurants - French, Italian and traditional English. Fab local pub - The Kents - welcomes children and dogs, great food and welcoming atmosphere. 1 minute to Kent's Cavern - Britain's oldest cave network, close to harbour, marine park, Paignton Zoo, Dartmoor and many great golf courses as well as award winning beaches. Massive luxury bath with overhead electric shower. Extra WC on ground floor. Off street private parking. Situated in a quiet mews road. Large courtyard for barbeques and entertaining. 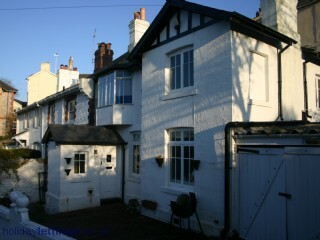 Walking distance to town and beach - also easy reach of taxi and bus route - 30 seconds! find room near Casablanca airport - All the information you need to get the most convenient accommodation, shopping places, restaurants and significant events is accurately presented on our site. best price for room close to Aberdeen airport - The hotel services will make your accommodation even more enjoyable. best price for room close to Belfast airport - The hotel services will make your accommodation even more enjoyable. need cheap hotel near calgary downtown? - Calgary Hotels Downtown are proud to accommodate you and make of your stay in Calgary Downtown as pleasant as possible. Hospitality starts at Airport Johannesburg Hotels - Have a wonderful trip! cheap hotels with parking close to lanzarote airport - We are here for you to ensure you that your trip around Lanzarote Arrecife (ACE) Airport will be great. recommended for holiday - Hotels in Barcelona City Centre - Do not think twice; Hotels in Barcelona City Centre can be your guide for your next trips in Barcelona. recommended for holiday Hotels in Nice France - Have a great stay at Hotels in Nice France!